Several times the capacity of our standard directory. You get separate spaces for office, home, mobile, and fax numbers, plus e-mail address. Great for alphabetical filing, too. 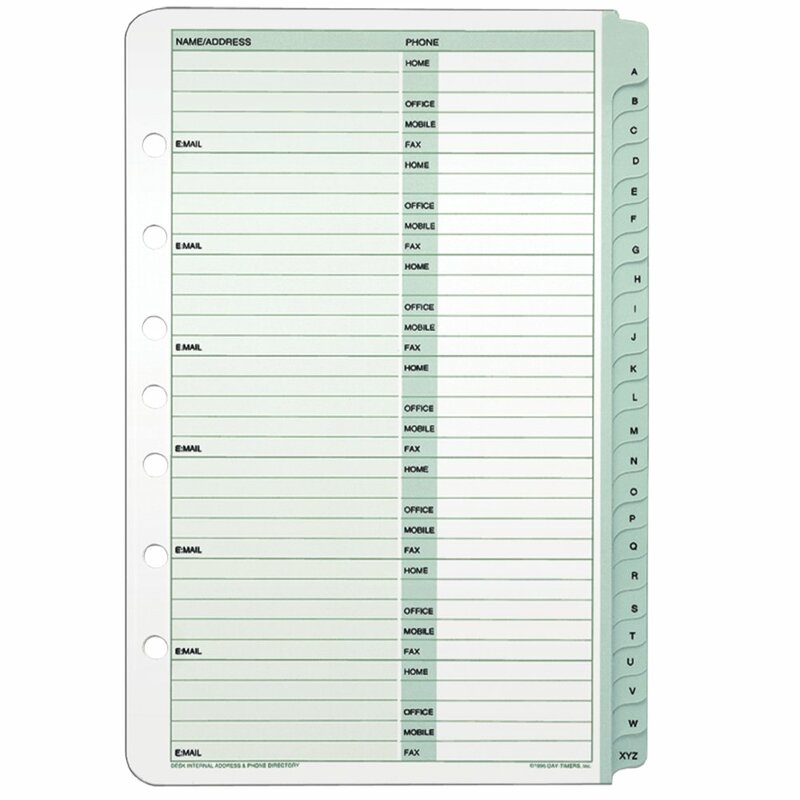 A - XYZ tabs are recessed so they don't interfere with the other tabs in your binder.